My story—the story of how I discovered anime—is not extraordinary or unique but here it is nonetheless. When I was around 9 or 10 years old, I was struggling a lot in school socially; I did not feel I fit in all that much. I didn’t expect too much from myself either, but when I went home, I would flip on Ytv, a Canadian television network with programing for children and teens. I would sit there waiting for 8:00pm when their block of anime programming would air. From that I discovered Ash, Goku, Luffy, Naruto, and InuYasha. As probably many others did as well, I would imagine myself as a Pokémon Trainer, Super Saiyan, a Pirate, or a Ninja and it was a fun experience even if it was completely imaginary. When you surround yourself with such characters, you can’t help feeling uplifted in a sense. 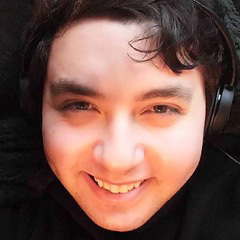 Over the years, I would continue to be enthralled by the medium of anime and enamoured by the sheer size of the industry and community, looking beyond the available television programming and discovering the works of Madhouse, Ghibli, Kyoto, ComixWaves, and many more. The more anime that I discovered, the more permanent a place it carved out in my life and my interests. Anime, much like other artforms—be it music or movies—can be switched on to cater to a certain part of us that we wish to pay some attention to, whether it is our motivations, our family, our relationships, there is an anime that reflects key lessons back to us. What really keeps me attached to anime after all this time is the ever-evolving art style, music style and the strength of story. 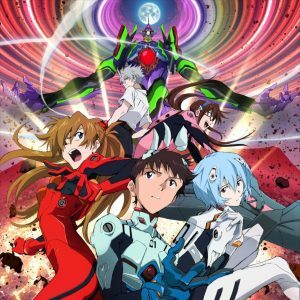 Below are 5 examples of anime that will be there when you need them the most. These selections have moved me with either their fantastic visuals, stunning soundtrack, well executed story or all of the above. When Moritaka Mashiro was just a kid, he dreamed of becoming a mangaka (manga creator) like his uncle, the author of a popular gag manga series. This changed the day his uncle died from overwork. Moritaka, discouraged by his family to pursue this work, closed off the dream for good until one fateful day, many years later, Moritaka met a classmate, Akito Takagi, a writer who also strived to become a mangaka. Akito sought the artistic talents of Moritaka to collaborate and become serialized professional mangaka. His old dream now rekindled, Moritaka will work with Akito to achieve their goal and keep a promise to a girl. 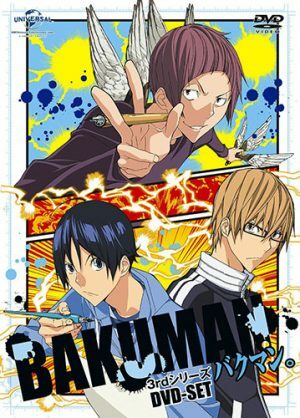 What is perhaps most intriguing about Bakuman. is the fact that the same creators behind Death Note are responsible for this great motivational work. While it is nothing like Death Note, it has been said it is an homage to the journey which the creators took to become mangaka. Yet the reason it makes this particular list is for how it motivated me through its story to pursue writing more seriously. Bakuman. is an anime that contains much inspiration, wisdom, and hope for any who aspire to do something that at first seems incredibly out of reach. Izuku Midoriya is a good-hearted young man who has grown up in a world where 80% of the population possesses superhuman abilities, otherwise known as “Quirks,” which led to the creation of superheroes in the modern age. To his detriment, Midoriya is “quirkless”, possessing no astounding gift and no chance of enrolling into the prestigious UA High superhero training school to achieve his dream of becoming like his favorite hero: All-Might. Yet one day, All Might himself offers a hand and a power for Midoriya to make his own. Through grueling training, Midoriya will seek to defy odds and become the greatest hero the world has ever seen. 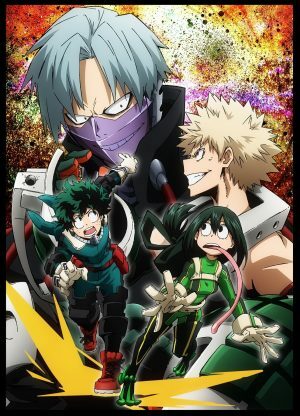 Boku no Hero Academia does something fantastic that many other anime fall short in achieving which is collectively developing an interesting ensemble of characters and not having the protagonist be the only well-developed character, even if he is the focus of the story. 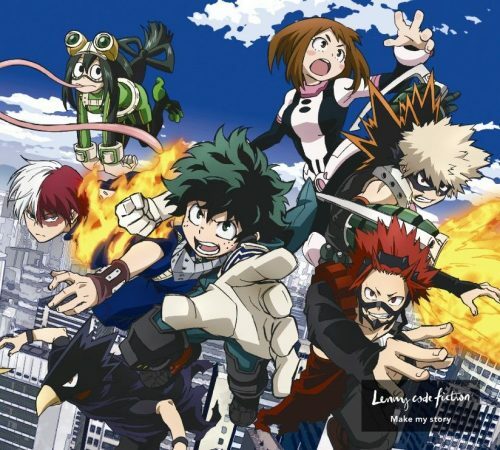 In addition to this, Boku no Hero Academia takes an exciting concept to begin with and brings us some of the most exhilarating scenes in anime, in no small part thanks to its score, yet it is the journey the characters take to become more than what they were born with or without that really shines through. Check this out if you are looking for some epic fight scenes and great story. Below the seemingly stoic exterior of a shogi prodigy named Rei Kiriyama, who turned professional in middle school, is a spiral of trauma and anxiety from his past. From his parent’s death, his adoption, as well as the pressure to live up to his reputation, it can all become too much. Rei will need to learn to have faith in his mentors at the Shogi Hall and three neighbourly sisters: Akari, Hinata, and Momo Kawamoto, as well as their grandfather. Through his matches and blooming relationships, Rei will learn to grow as a person. 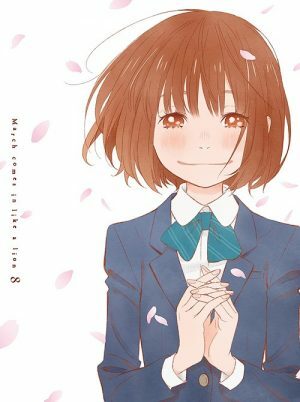 From the creator of Honey and Clover comes this strikingly beautiful story of individual growth and resilience. 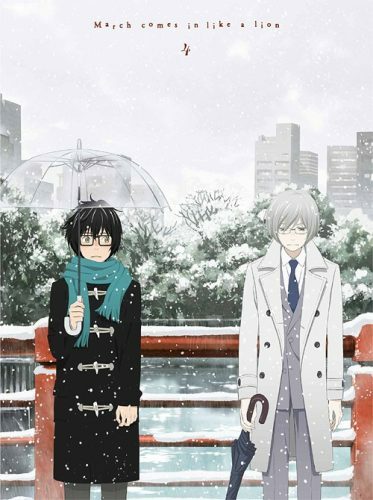 3-gatsu no Lion has a very special place in my heart as it is an anime which eloquently deals with themes of struggling with one’s mental health. As someone who has struggled with my mental health for many years, this anime has had a great effect on me as we get to see such a visually breathtaking telling of Rei’s journey as he struggles to stay independent while dealing with his past and the pressure of his future. 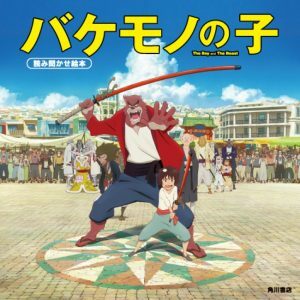 All I can say is that for those of you who aren’t interested in shogi or anime about games, do not pass on this anime because of that detail; its story, unique artistic style seen in the vibrancy of the colours they use, and the beautiful music makes this quite the experience for any anime fan. Equivalent exchange—“to obtain something, something of equal importance must be lost”—this is an absolute rule of alchemy. The Elric brothers, Edward and Alphonse—both gifted for their age—attempt the most forbidden aspect of alchemy: human transmutation and there by breaking the absolute rule. There desperate experiment backfires. Edward is left missing an arm and a leg, and Alphonse is left with his soul. 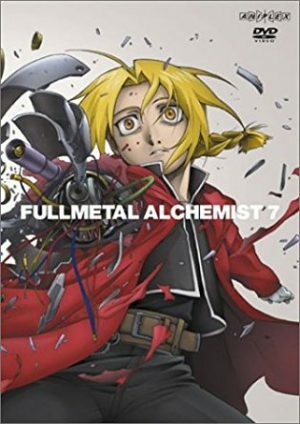 To further research into getting their bodies back, they both become state alchemist and begin a long journey to uncovering answers in search of the one thing that can make things right, the philosopher's stone. 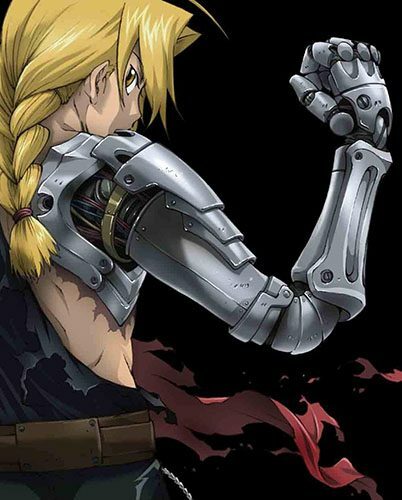 Fullmetal Alchemist: Brotherhood is a shounen, action, adventure, and fantasy anime. It has grown to arguably become one of the most popular anime to exist today. The reasons for its immense success are obvious in the well-executed story and intriguing plot development. From the moment the anime opens and you see the Elric brothers, I was drawn to them and their plight. Fullmetal Alchemist: Brotherhood takes us into a world of great wonders being performed on the daily yet does not shy away from the great horrors and error that people can cause when left with power unchecked. More than this, it is a story of learning how to cope with tremendous loss, to mourn and continue to live despite the struggles we may face. In short, go watch it. A young orphaned boy named Naruto Uzumaki has grown up in the Hidden Leaf Village, where he has been shunned his whole life by the community for harboring the spirit of a demon fox that attacked the village years ago and killed his parents, a fact which he is not privy to. 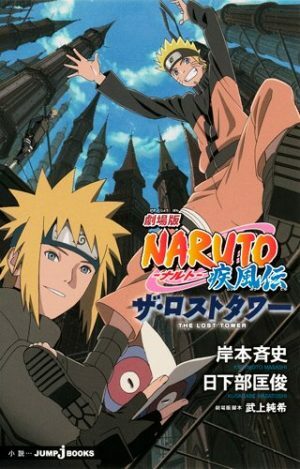 Ignored by his classmates at the ninja academy where all children go to study to become Shinobi, Naruto, despite struggling in his school work, perseveres with the dream of becoming Hokage—the head of the village—so that one day everyone will acknowledge him. 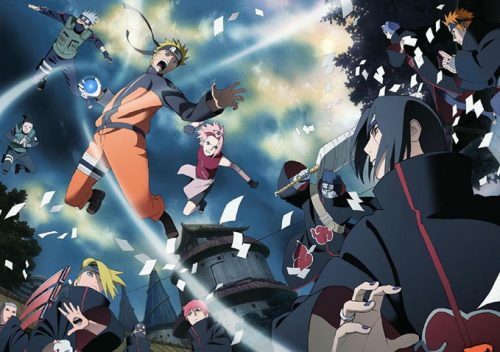 With the support of Iruka-sensei, Kakashi-sensei, and his new teammates Sasuke Uchiha and Sakura Haruno, can Naruto overcome his faults to achieve his dream? Naruto and Naruto Shippuden have a special place in my heart. Naruto was the first time I really connected with the protagonist of an anime. The show came at a time in my life where I felt ostracized and was constantly bullied or teased. Seeing a character like Naruto who also struggled in school and with making friends, to see him push forward, still clinging to his goals and working hard to achieve them, by not allowing those moments to deter him made it a very important anime experience for me. Following his journey into Naruto Shippuden, growing up with him in a sense, I wanted to continue to propel myself forward. While one show can’t ultimately make us change our lives or habits on a grand scale, it helped to change how I perceived myself and for that I am grateful. 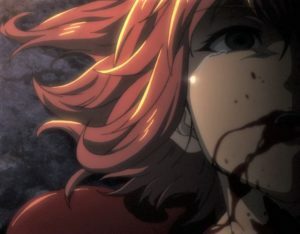 Thank you for checking out my Top 5 list, it is my hope that this article will encourage you to go watch some of the anime on this list and if so, I hope you enjoy it as much as I have. What did you think of the list? 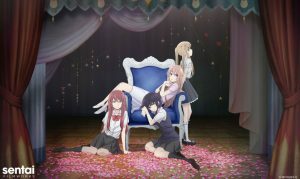 Are there anime that have helped you in some way or are just fantastic in their own right? Let us know in the comments.